The final chapter of the Stormblood storyline hits Final Fantasy XIV today (January 8) with the launch of patch 4.5, A Requiem For Heroes. In the first part, players will have access to a wealth of new content leading into the next expansion, Shadowbringers, including the third and final chapter in the fan-favorite Return to Ivalice Alliance Raid series, new main scenario quests, challenging trials, and more. 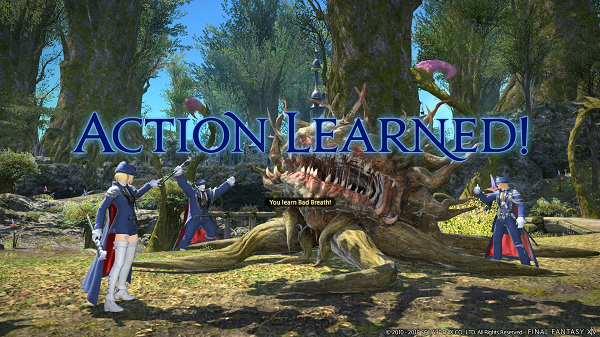 Following today’s content drop is the blue mage job which hits live servers on January 15. As a limited job, the blue mage provides solo gameplay learning its abilities through fighting monsters and is available to all players who have achieved level 50 Disciple of War or Magic class/job and who have completed the main scenario for A Realm Reborn. Fans can look forward to more information on the next FFXIV expansion at this year’s European Fan Festival on February 2, 2019.